« Happy Birthday America: Born to Abolish Slavery Perhaps? Seems A Good Cop Was Framed: White Is Also A Color and Justice Is Blind! 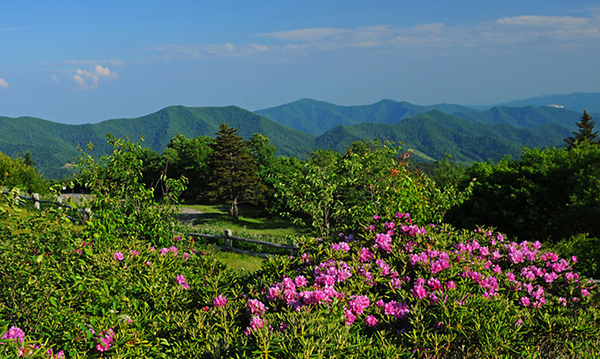 “Sadly, something is rotten in the beautiful State of Virginia, and it sure ain’t the fish,” William Shakespeare restated: Hamlet, Act I. This is America 2015! Here we don’t cut off people’s heads or burn them at the stake. So we cannot let a good cop be demonized and jailed in pursuit of police reform…read on. When Shakespeare wrote Hamlet, c. 1600, the over forty-year reign of Queen Elizabeth I, England’s resolute monarch, was drawing nigh. Known as the Elizabethan era, a time of cultural and artistic revival, English drama led by William Shakespeare and others flourished, which still informs us. Having no heir, Elizabeth’s impending death and the question of succession naturally gave pause for grave concern, chiefly among those who relied on the queen’s favor for privilege and power. Sadly, a political culture of deception and brutality also existed during the Elizabethan era. Since the only legitimate heir was King James IV of Scotland, son of Mary Queen of Scots who was Queen Elizabeth’s cousin and arch rival whom she had beheaded, much ado about plenty ensued, so to speak. When Elizabeth dies in 1603, Mary’s son also becomes King James I of England and reigns until his death. His greatest legacy to Western theology is, of course, the King James Version of the Holy Bible, still a bestseller. “Something is rotten in the State of Denmark,” which basically means today that all is not well at the top of the hill! So think twice and choose carefully. “Something is rotten in Denmark and it sure ain’t the fish!” Being a metaphor, this popular quote is definitely not a comment on the lovely country of Denmark, whose might and allegiance to shielding the Danish Jews during Nazi occupation is legendary. Thus, history is so much more than a boring series of dates and past events. Instead, history is a living testament to humanity’s virtues and mistakes reflected back to us. From which we all can learn, grow and evolve; or, we can remain dull, unhappy, and subject to the miserable mindset of those pretending to be real. The choice, as always, is ours. Free the mind! Was the Suspect Actually Unarmed? After a protracted two-year investigation, Adam Torres is charged with the murder of John Geer, an alleged unarmed man, while policing a domestic disturbance call in Fairfax County Virginia. At his arraignment, the judge denies a plea for bail. Mr. Torres collapses, hits a chair and lands flat on his back with eyes closed. He recovers and is taken into custody. Some tend to think that Torres’ indictment and arrest indicates a “larger crack” in police departments’ blue wall of silence nationwide. But wait, not so fast! In the interest of justice reform and our collective sanity, was John Geer actually unarmed at the time he was shot and killed by Officer Torres? Whose job was to protect Officer Barnes (and others) while Barnes pleaded with Geer to come out of the house and surrender. On the afternoon of August 29 in 2013, Maura Harrington, John Geer’s longtime partner of 24 years, calls 911 saying they had argued, that Geer was throwing her things out of the house and on the lawn, and that Geer has guns in the house. Officers Adam Torres and David Neil arrive on the scene. What would amount to an eventual standoff with two armed police officers that lasts 42-minutes, Torres and Neil immediately take cover and aim their guns at Geer. Soon Officer Rodney Barnes arrives on the scene and relieves Officer Neil. Without any relief, Torres keeps his gun aimed at Geer while Rodney handles all communication. At some point, two other police officers show up and take “some cover behind a few cars in the parking lot” (police transcript). Barnes continues trying to persuade Geer, who stood inside with his hands resting on top of the storm door, to come outside. Sadly, Geer chooses to remain inside his house and stays behind the door until he is shot and dies. According to reports, at all times during his last encounter with the police, John Geer steadfastly refused to comply with Officer Barnes’ official instructions to come out and surrender. Instead, Geer repeatedly asks Barnes to tell Torres to lower his weapon. Was Geer feigning the helpless victim, or flirting with death as he taunted the armed officer poised to shoot if deemed necessary? Yet, Officer Torres complies; but, raises his gun again whenever Geer asks if he could scratch his nose. On August 19, 2013, the same day, at 3:34 PM as Barnes continues talking to Geer, Torres fires a single shot at Geer. Geer retreats inside his house and remains relatively still until the SWAT team arrives. Not sure whether Geer is alive and armed, or dead, the anxious police officers wait. 70 minutes later, a SWAT team arrives with an armored truck equipped with a battering ram. Sadly, the officers find 46-year-old John Geer expired just inside his front door. Why he shot him: Torres would later tell police investigators that Geer had brought both of his hands down in a quick motion towards his waist, and didn’t know if Geer had another weapon on him given his previous display of having a gun. Torres further says he thought Geer “a credible threat towards” himself, Rodney and whoever else was out there (police transcript). Witnesses would later state that Geer’s hands were up when he was shot. Officer Barnes would also later state that Geer’s hands were up when shot. Yet, just after the shooting, Barnes tells Torres: “Don’t worry, you’re good” (police transcript). On September 2 and September 4, 2013, with his attorney present, two investigators of the Fairfax County Police Department interview Torres. In response to a wrongful death lawsuit filed by Maura Harrington (Geer’s former longtime partner), Fairfax County strangely settles that case in April of 2015 for $2.95 million dollars. Though none had either been charged or tried for the death of John Geer. Stranger still, on July 27, 2015 a Special Grand Jury, called by county prosecutor Raymond F. Morrogh, begins deciding whether to charge Torres with murder. Torres did not testify before the grand jury and likely has yet to talk to the press. On August 7, 2015, the Washington Post confirms that the Fairfax Police Department fired Adam Torres on July 31, 2015. On August 10, 2015 a local television station, WUSA9-TV, says Torres’ wife Danyal had set up a GoFundMe Page asking for funds to help her family, as “her husband has been unable to find a new job because he’s been blacklisted…everybody hates her family, and that they can’t make ends meet,” she said. The website shut down her account after people complained. 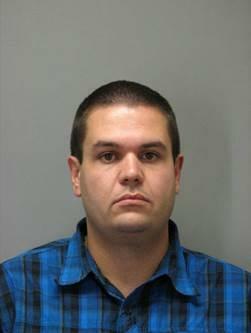 On August 17, 2015 in the Circuit Court of Fairfax County, Adam Torres is indicted for the murder of John Geer. On August 19, 2015, Adam Torres is denied bail and collapses in court, but recovers. The trial is set for December 14 2015. In requesting bail, his attorney argues, among other things, that Torres was acting in the line of duty as a police officer and thus not a risk. Asking bail be denied, the prosecutor stated that not only did the defendant kill Mr. Geer “but did so with malice,” later adding that was the consensus of the special grand jury. Bail was denied based on the defendant’s alleged “deteriorating mental state” at the time of the incident due to his wife’s alleged infidelity; which has since been repudiated as cheap, salacious gossip unworthy of the court. Initially, I was struck by Adam Torres’ collapse in court and felt his pain. After reviewing various news reports, virtually all one-sided, the thought of anyone having been caught up in the dark clutches of cooperative deceit was very depressing, but not hopeless. Intuitively, I felt Adam Torres was a good cop. And this was before reading a transcript of Adam’s own words during the Fairfax Police Department’s interviews, which speak volumes of this man’s innocence. With respect to the impending trial, it’s best not to elaborate for obvious reasons. In general, seems former police officer Adam Torres was framed by two of the usual toxic suspects these days: a lack of morality amongst local authorities, and the excessive want of power and privilege that usually follows. In Hernandez v. Texas, 347 U.S. 475 (1954), a landmark Supreme Court case, the court decided that Mexican Americans and all other racial groups in the U.S. are guaranteed a jury composed without regard to ethnicity under the 14th Amendment of our U.S. Constitution. Lest we not forget that equal protection clause. Recently, Gov. Jerry Brown of California, a modern-day progressive, signs a law that bans use of Grand Juries to probe police shootings, and so the country moves forward. Thankfully, the operative culprit behind our legal woes over the gross miscarriage of justice in certain cases is slowly coming to light! Thus, the historic political construct suggesting that some people of color do not matter is slowing going down in flames. We the People are awake now, and are beginning to see the light that clearly reveals: White is also a color, which also matters! As most of us know, or should know and revere, Justice does not take sides as Justice is the polar opposite of partiality. 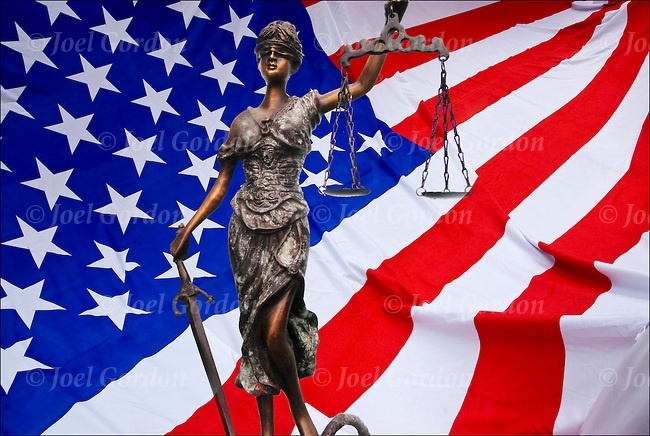 America’s symbol of Justice is a blindfold maiden holding a pair of empty scales in one hand, and the sword of discernment between truth and illusion in the other; thus quietly waiting for both sides of a case to be “weighed in the balance and found wanting” only the truth[*], the whole truth, and nothing but the truth reveled! The good news is: when we want the truth and nothing but the truth, we will actually see the truth shinning beyond all misleading illusions, and be free of reasonable doubt. In the interest of justice and the preservation of our democracy, please demand, peacefully, that Ex-Police Officer Adam Torres of Virginia be released on bail and gets a fair trial. Thus, we meet the great expectations of our founding fathers. Truth is a living thing. Free the mind! Update October 23, 2016: After being sentenced to serve 12 months in prison for the felony charge of involuntary manslaughter of Springfield resident John Geer in 2013 to which he had pleaded to but did not deserve, in my opinion: five days later, Adam Torres was released from Fairfax County Adult Detention Center at 8 a.m. on June 29, 2016 for time served. Wearing a blue-checked shirt and carrying a few personal effects, Fmr Ofcr Torres is finally free of these racist-based, false charges. Declining to answer questions as he walks to his car, Adam Torres gladly returns home to his wife, his two young children and his newly-born infant. And, sadly, Fairfax County VA loses a truly good cop! Hello! I simply want to give you a big thumbs up for the excellent information you have right here on this post. I will be returning to your site for more soon. Thanks for your comment Wilmer, it is well appreciated. Happy New Year. Hey there! I could possibly have sworn I’ve been to this website before but after browsing through a few of the post I realized it’s a novice to me. Nonetheless, I’m definitely glad I stumbled upon it and I’ll be book-marking and checking back often!